What kind of traveler are you or do you want to be? 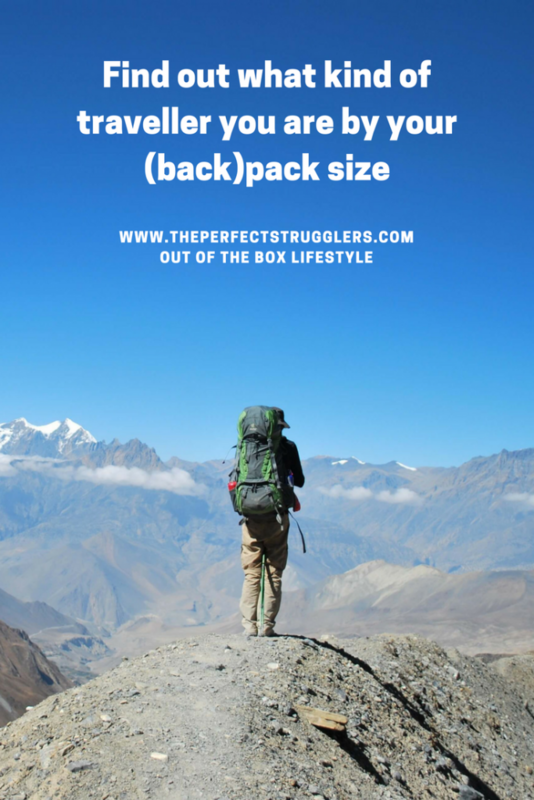 Did you bring too much stuff last trip and are you looking for a way to downgrade your backpack size? Do you want to know what kind of backpack, suitcase or bag you should buy for your upcoming trip? And what backpack size is good for you? First find out who you are as a traveler or holidaymaker, then decide what suits you best. In this blog we give an overview of the five most common types of travelers we meet on the road, with their corresponding travel behaviour. To be recognized by the bag they carry. Read this blog to find out what travel bag will work best for you. Or recognize your own traveler type by the (back)pack you have. Please let us know your ideas and preferences in the comments below. Small backpack size on a small girl – perfect for multi-day hikes! You are always quick at airports because you fly carry on only. The luggage check-in queue is not for you. With a small backpack size and a maximum weight of 10 kilo you have only one piece of everything with you: pants, sleeves, shirt, beanie. Two pair of shoes maximum. No stress of choice for you in the morning. You simply wear the same every day when the weather is stable. The small travel bag suits your minimalistic lifestyle and you feel comfortable with it. There is no need to store your bag somewhere when you travel with local transport, your light pack always goes with you. You can hike for hours without getting sore shoulders. Taking taxis is a rare thing for you because your bag is so comfortable and light it doesn’t hurt to walk. You are an undercover traveler with a good sense for adventure. It is easy to blend in with the local crowd with your subtle gear. It is the perfect “I don’t want to stand out” backpack size. And that is what you like. You have quite some experience traveling so you exactly know what you like to bring with you. 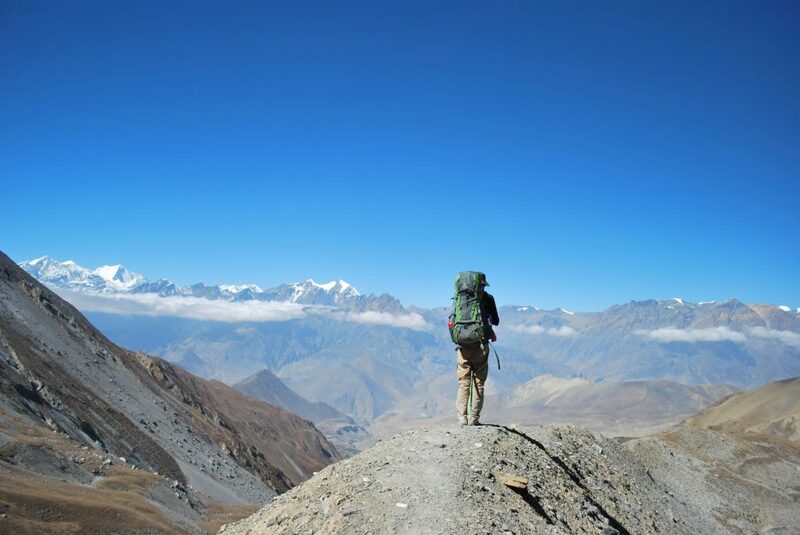 It is easy for you to leave the beaten track with your small backpack size. Without relying on the touristic facilities and just making use of the local infrastructure. You even can make a multiple day hike with all your stuff on you. 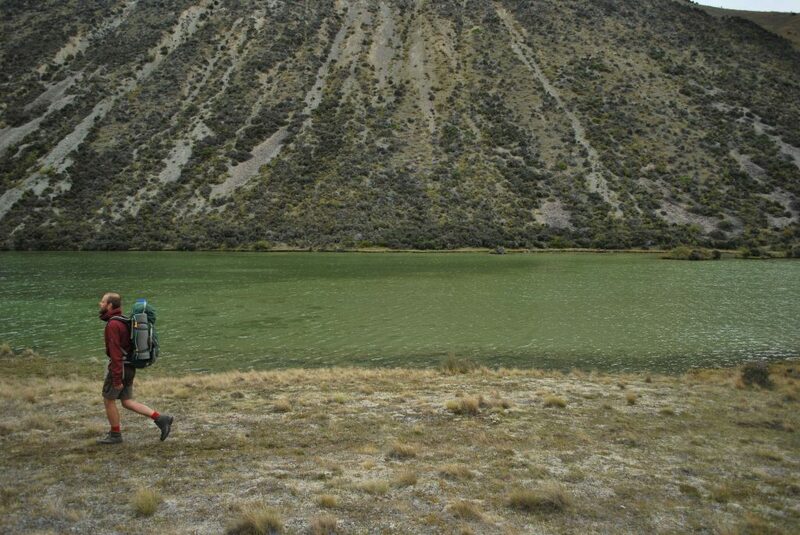 Everything that is in your backpack is small, light and essential; from your wind jacket to your shampoo and sweater. 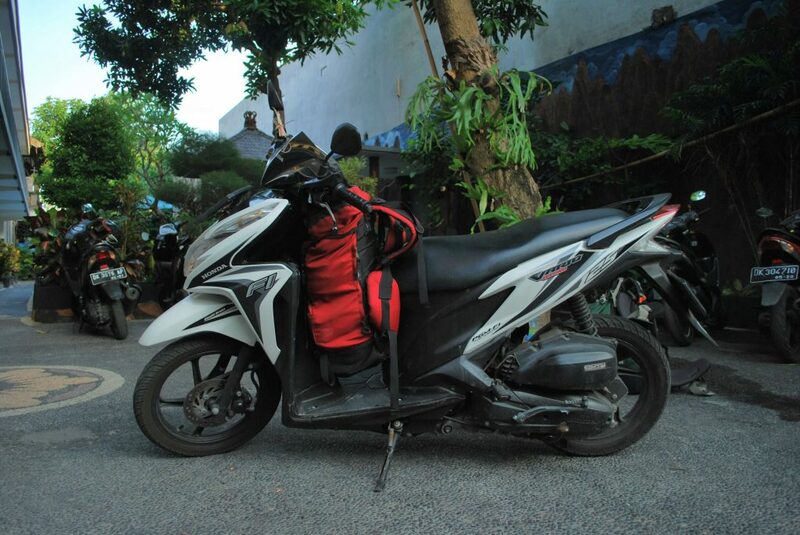 With a small backpack it is easy to rent a motorbike for a few days, weeks or even months. And go on your own motorbike adventure with your backpack conveniently located underneath your steer wheel. 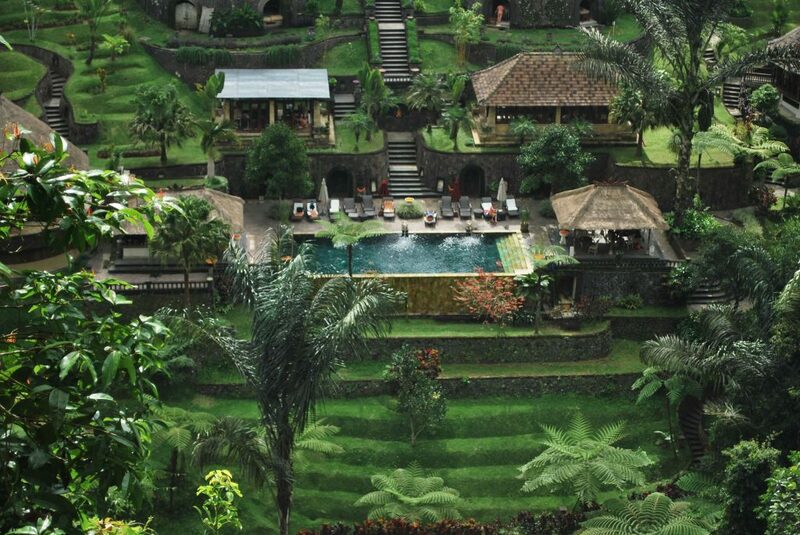 Read this blog about our motorbike Bali adventure: a road trip on blissful Bali by motorbike. 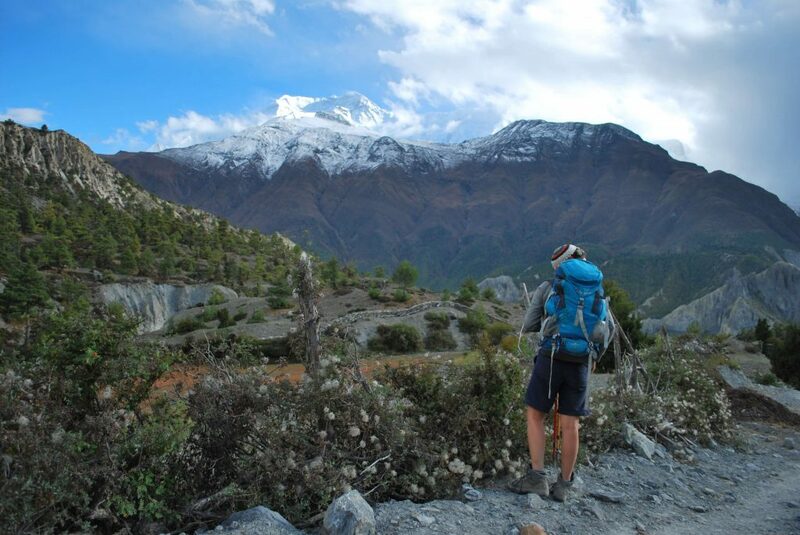 With a light pack you are able to hike the amazing and highly recommended Annapurna Circuit in Nepal! 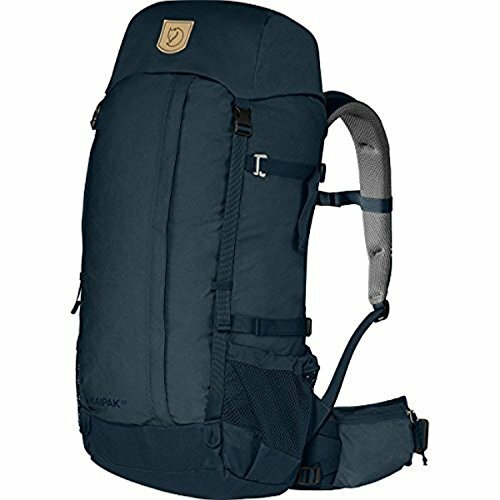 You find my favourite backpack size made by Fjallraven on Amazon for 199 dollar. Click on the image to see the specs. Are you attracted by this way of traveling? This could be your perfect backpack size and your perfect travel bag. You always check your backpack when you fly to a new destination. Paying less for a flight with only cabin luggage and being able to leave your port of arrival quick, is not worth having the headache that can come with a small backpack size and making all the accessory choices. You are not sure what you exactly need on your travels so you bring a good range of items with you just to be sure. There is room to take everything with you. Your backpack can easily weigh around 15 kilos when you don’t watch out while packing. Every day you can choose what you want to wear. A party outfit on the beach, a pair of sporty trousers for an adventure hike, and a nice smooth outfit in cosmopolitan areas. You can’t walk too far with your backpack on your back so taking a taxi or bus is the way to do it. Since you carry all your stuff on your back in a comfortable backpack you are flexible enough to go from one place to another. After a while your heavy and ponderous bag can make you a little bit grumpy and you wished you had brought along less stuff with you. During your travels you will find out what you didn’t use and therefore don’t need. Make a note to yourself about the unnecessary stuff; this is your chance to be a minimalistic 38 liter backpack traveler the next time, in case you aspire so. Are you wondering what travel bag fits you? You might be the kind of traveler that goes best with a medium backpack size. Do you see the guy behind te bag? Do I need to say more? 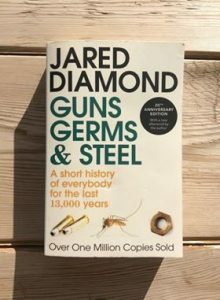 In this description we leave out the outdoor adventurer – that goes around with supplies to feed himself the coming month, with a tent, a sleeping back that goes till minus 20 degrees Celsius etc. You get my point. Instead we focus on the traveler that is eager to experience adventure and new things, but is afraid not to be sufficiently prepared for all potential future encounters. Therefore he visits a few specialized outdoor shops before he leaves on his journey. To be advised, to see what kind of solutions there are for unknown travel problems. And to become very insecure with the wide range of options and potential uses of those outdoor stuff. You leave the shop with a big bag of gadgets. And likely with a backpack size quite large as well. You put a lot of effort and time in carefully preparing yourself for what is about to come. 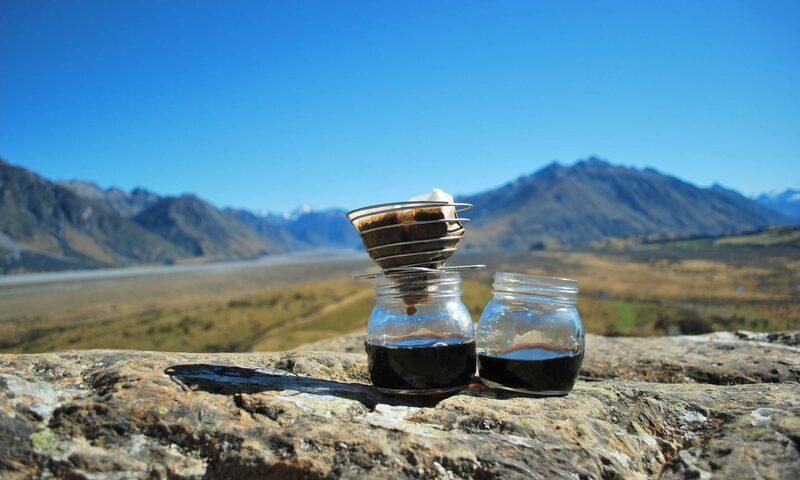 You read travel blogs to discover new handy products. It is difficult to make choices, since you don’t know how it is going to be like, so your bring most of the items recommended to you. And that is a lot! Once you are on the road you are annoyed by the weight of your bag and the giant backpack size. It is so difficult to lift it on your back and it takes so much space. Not to mention the sore shoulders. But the presence of those useful items gives a feeling of security. And carrying your stuff makes you physically stronger. Our advice to you as a chance to downgrade from 80 liter to 55 liter, from a large backpack size to a medium or maybe even small, is the following. Realize you are not going to die without those ingenious inventions. You only can know what you need by being at your destination and finding out what you like by doing. Once you know it you can buy it locally. Just bring the basics with you (good hiking shoes are one of them in case your plan is to do some hiking). It is the year 2000 something, your credit card functions in almost all places, and locals buy stuff too. Have trust you are going to be all right. You will be happy to be a little bit more lightly packed. 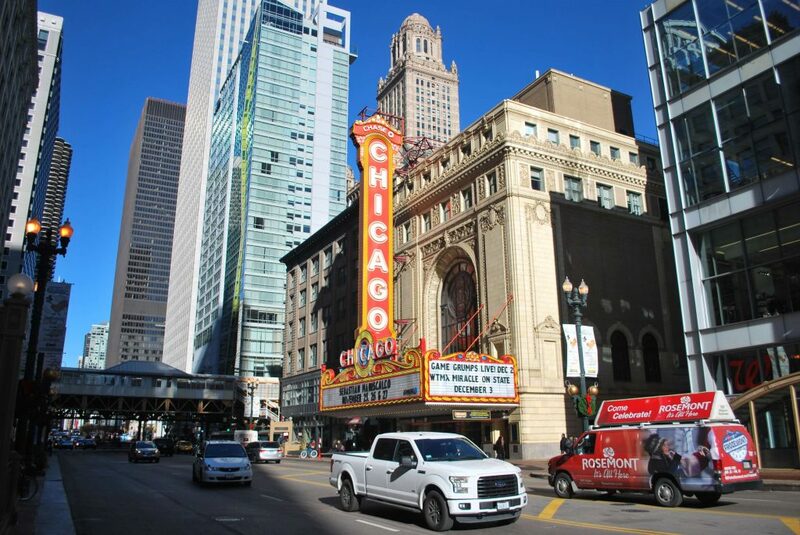 The luxurious world nomad like short city trips like to for example booming Chicago! Like the adventurous flexible minimalistic traveller you are a smooth traveler and do airports quickly with your light cabin luggage. Since you travel often you know what to pack. Of course there is a chance you are on a big journey with your small wheeled suitcase but it is more likely you are doing one of your short trips to a nice place on this globe. “Citytrip” is your middle name. You don’t mind spending some extra money for comfort, being quick and efficient. Your small suitcase is always close by and ready to go in case another exciting trip comes your way. A backpack size small would work for you as well, but a small wheeled suitcase feels better for you. Why should you carry your travel bag when wheels can do the same. You know what you want and your wheels roll you towards your goals. We cannot call you a backpacker. 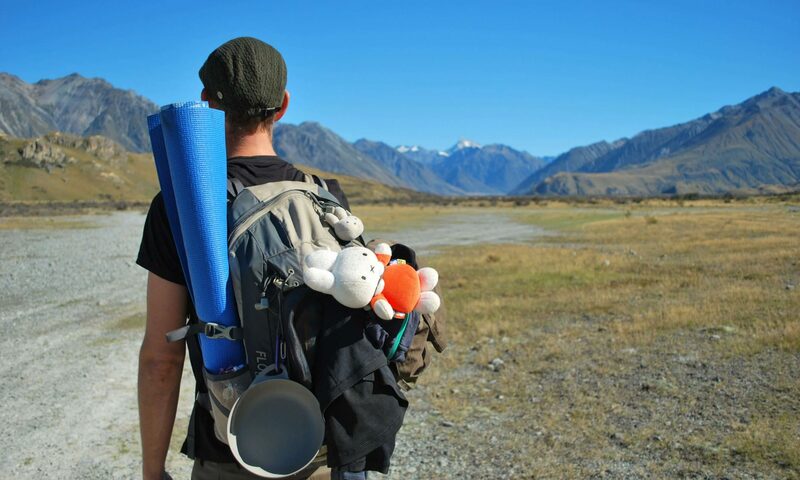 But in case you take a month or few months off from your job you are likely to turn into a backpacker. Or a flashpacker; the backpacker with a slightly bigger budget and no interest in sleeping in dorms for the sake of saving a few bucks. Probably you book your bed ahead and Airbnb suits your wishes the best. You are so used to pack light and move around the globe there isn’t a chance you will walk around with a 85 liter backpack. Instead you feel comfortable with a backpack between 35 liter and 50 liter, a small or medium backpack size. Put your giant wheeled suitecase away in a corner and dive in the pool! Find your trolley back one week later. When you think about leaving your home for some time off you don’t think in terms of ‘traveling’ and ‘backpacking’ but you think about a nice relaxed holiday. Comfort and having a good time is what you are looking for. You have rented an apartment or a room in a hotel or via Airbnb before you left. No way you are going to search for a place on the spot. You want to be sure there is room for you and no hassle for you please. And you are not Going to move from place to place and from hotel to hotel because that doesn’t contribute to feeling at peace. It is your holiday! Packing is easy. You open up your (giant) wheeled suitcase next to your open wardrobe and put everything you took with in it. Choosing is not necessary because your trolley is big and you can check in at least 20 kilos on the plane. You are not interested in doing laundry when you are away so you have a clean shirt and underwear for each day. Of course you are not going to use everything but at least you are sure you are not going to miss something. No need to pull your wheeled suitcase around – at most a few meters at the airport or to the car – assistants of hotels and transfer services are ready to help you. And the distance from the car door to the entrance is short. You even don’t consider to bring a backpack instead of a wheeled suitcase! Why should you? So … what travel bag owner are you? What sounds good to you? I will recognize you by the bag you choose. Plans for a (long) trip? Plans for a trip? 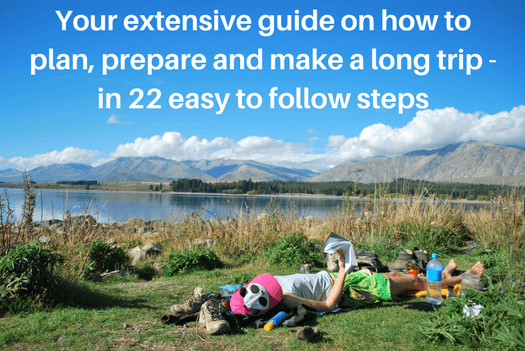 Read here how to prepare in 22 easy steps! Do you like this article? Pin it.